Legendary Manny Pacquiao will put his WBA welterweight crown on the line against self-dubbed bad boy Adrien Broner on Saturday, January 19th at the MGM Grand Garden Arena in Las Vegas, Nevada. The pair have been on very friendly terms during the lead up to this clash but those pleasantries will certainly end when the bell rings. Pac-Man will be seeking back-to-back wins for the first time in more than two years at the ripe age of 40. 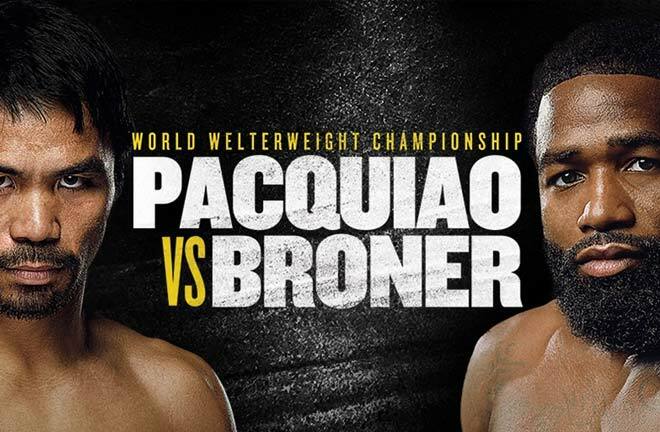 Adrien “The Problem” Broner (33-3-1, 24 KOs) is a +230 underdog against Pacquiao (60-7-2, 39 KOs) as a -300 favourite. 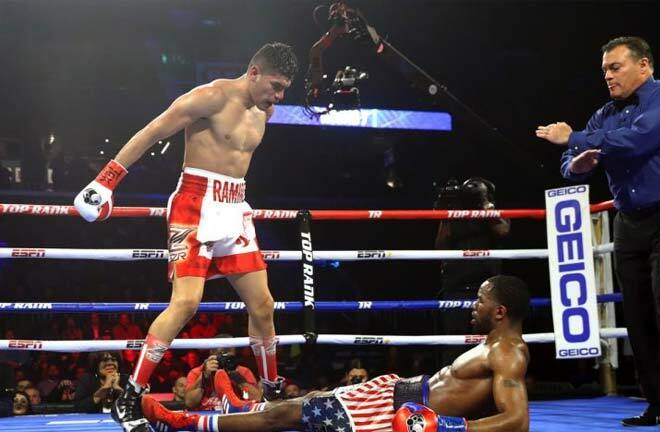 It’s a familiar place for Broner, an underdog in his last two fights against Jessie Vargas and Mikey Garcia. 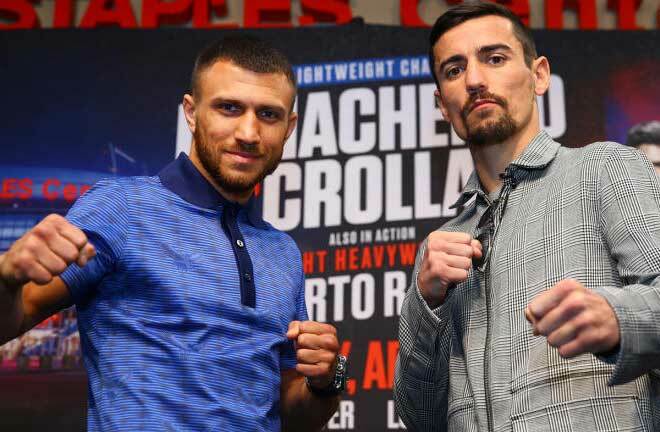 The Ohio native looked very ordinary against Garcia in 2017 but fought gamely down the stretch to secure a majority draw with Vargas in 2018. This marks Broner’s third time at welterweight, where each of his three career losses have occurred. However, Broner is undefeated against southpaws going 7-0 but Manny easily represents his stiffest test yet in this category. Adrien has elite-level talent but has been hounded by personal issues and has mostly failed to live up to expectations. Pacquiao is boxing’s only eight-division world champion and once reigned supreme atop the sport’s mythical pound-for-pound rankings. 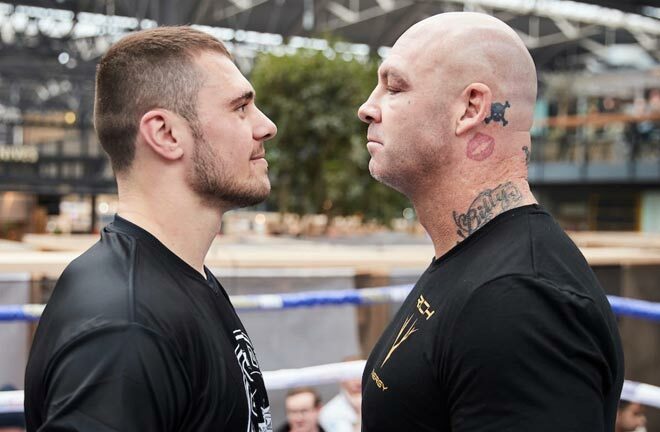 He’s won three of his last four fights only coming up short against Jeff Horn via controversial decision, where he out-landed his opponent 182-92. Last time out, Pacquiao delivered a one-sided beat down of faded but still dangerous Argentinian Lucas Matthysse and scored a seventh-round knockout in their bout last July. The win proved significant as it was the first time that Pac-Man stopped an opponent since Miguel Cotto back in 2009. Manny is no ordinary 40-year old but with nearly 70 fights spanning over two gruelling decades, there is a lot of mileage on his odometer. No doubt the Filipino fighter has slipped as evidenced by his diminished ring performances in recent years. The little fellow and one-time preeminent fighter has gone 5-2 over the last 4 years falling to Floyd Mayweather Jr. and the aforementioned Jeff Horn, both by unanimous decision. Pac-Man’s pay-per-view appeal has waned considerably since the loss to Mayweather Jr. with his 2015 fight against Vargas reportedly drawing fewer than 300,000 buys. The 29-year old Broner obviously has youth on his side, blurring hand speed and a defensive style that drew frequent comparisons to Mayweather Jr. during his early rise through the ranks. 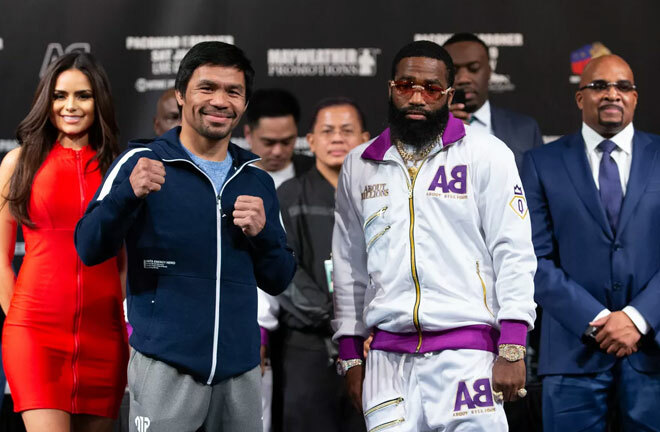 Broner, a former four-division world champion, will be under intense pressure to impress against Pacquiao this weekend and sees an opportunity to resurrect his once burgeoning career. While Pacquiao looked strong in his last fight against former world champion Matthysse, a younger, more talented and stronger Adrien Broner is an entirely different challenge. 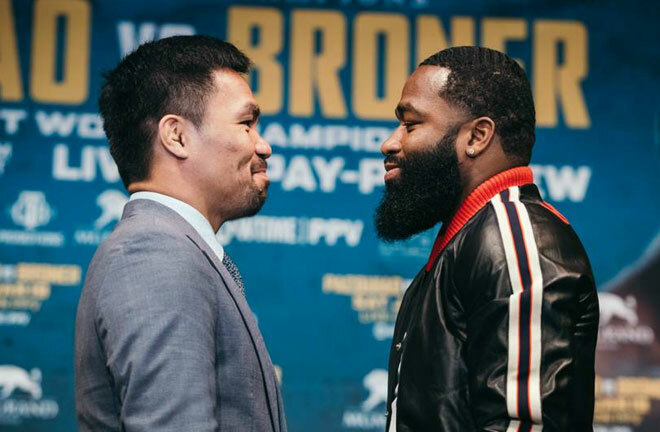 Speed and Footwork – Pacquiao has the speed and footwork to frustrate Broner and throws a variety of punches that tend to come from different angles. AB is fast too but lacks Manny’s creativity and sheer output. Power – Manny is not the wrecking machine he used to be but still excels at breaking opponents down if allowed to dictate the pace of a fight. Broner does his best work on the inside and can be very elusive and accurate with his punches. Strength and Conditioning – Pacquiao’s conditioning has always been top notch but takes center stage now that he is older. He’ll need to be aggressive and take the fight to Broner early and often. This is a tough one to call largely because of Manny’s age and Adrien’s unpredictability. But I agree with most pundits that see Pacquiao pressing the action and forcing Broner into a defensive shell with his speed and blistering combinations. Broner is an excellent counter-puncher and could pick Manny apart if he gets reckless. However, the elder statesman fights with measured aggression and is methodical in his approach. Swarmers like Pacquiao are usually a nightmare for more economical boxers like The Problem. I just do not see Broner staying busy enough to fend off Pacquiao in attack mode. Expect Pac-Man to really pressure Broner and work the body all night. 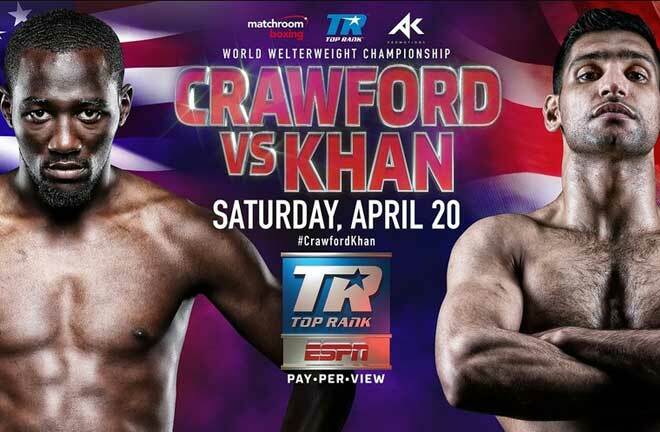 Both fighters will see the final bell but only one will have his hand raised in victory. Pacquiao vs Broner will be available to watch free on ITV4 as part of the deal between ITV and Haymon Sports and Premier Boxing Champions which was announced at the end of 2018. 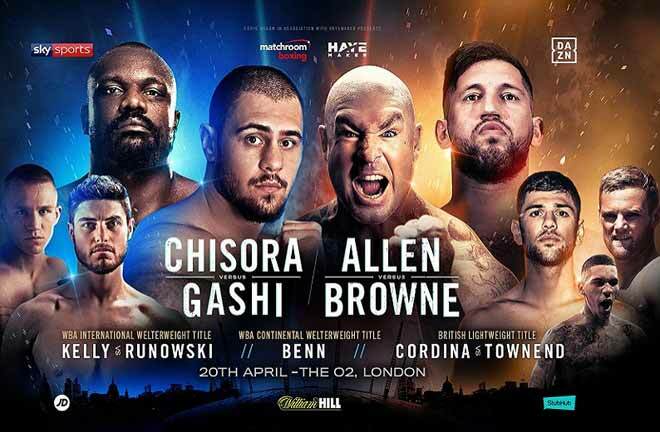 Live streaming will also be available on the ITV Hub app.